Google maps for Android and iOS will now be showing traffic alerts to Indian users. The feature will activate as soon as the user switches to the navigation mode. In its latest update, Google Maps got this feature enabled for India. Earlier, the feature was limited to the US users, where it was launched a year ago. In addition, the app will also provide voice alert about the traffic condition as soon as the destination is entered. It will also suggest alternative routes for avoiding the heavy traffic affected roads. The app will also inform the user about how much time will be taken to reach the destination. 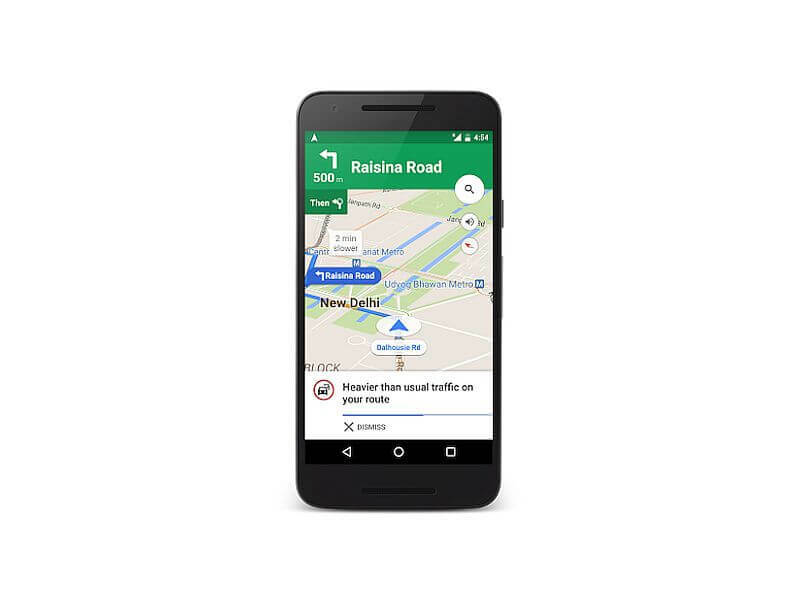 Sanket Gupta, Product Manager, Google Maps, said in a blog post,”Google Maps can help you find an ideal route to your destination with the least delays,” The app will also intimate users about how long they will be stuck in the traffic congestion. Google Maps for Android got an update recently, which changed its version number from 9.22 to 9.23. It added Navigation notification, which received a visual improvement. This is better as you can not always reach your destination in the time shown on google maps due to road conditions, speed variance, and traffic conditions. Waiting for some more features soon. Google is the best!